Win free cloth diapers in our weekly FYSF giveaway! 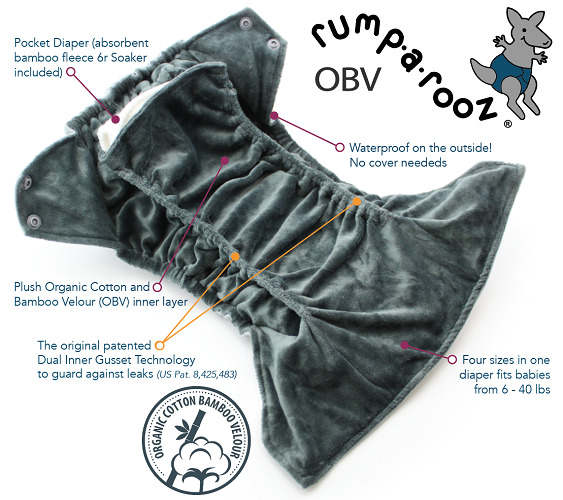 4/7/17 FYSF, Win a Rumparooz OBV OS Pocket Diaper! Feed Your Stash Friday Giveaway! This week, in conjunction with our 15% off Rumparooz Cloth Diapers Sale, we're giving away a Rumparooz OBV OS Pocket Diaper! This One Size Diaper boast an ease of use equivalent to a disposable diaper! Four diaper sizes packed into one diaper makes it ideal for those families interested in a single pocket diaper to diaper their babies from birth (6.5 lbs.) to potty training (35+ lbs.). The Rumparooz OBV One Size Cloth Diaper combines the best features of the top two Kanga Care products: the Rumparooz One Size Cloth Diaper and the Ecoposh OBV One Size Fitted Cloth Diaper. To enter to win this giveaway please use the embedded Rafflecopter form below. Open to the USA & Canada. Winner must be 18 yrs or older. Winner will be notified by email and will have 7 days to reply and claim their prize. I have several Rumparooz one size pockets and love them! Haven't tried the OBV yet, but I'd really like to! Thanks for the great giveaway! I do not currently have any rumparooz but would love to try some. I'm just starting to build up my stash! I've never tried the rumparooz obv but it looks like a great overnight option!! Love Rumperooz! We have 2 covers in our diaper stash. I did some rumperooz with my daughter and want to do more with this second kiddo coming! I'm in the process of building a stash for our first child and would love to try these. I have heard good things about rumparooz! Looks so soft! I have a few Rumparooz covers and absolutely adore them. Yes we do, one size pockets and covers. I would love to try this one! These look great - would be awesome to try out. We used the Rumparooz newborn covers when she was younger and would be so nice to try this diaper out! Thank you for having this giveaway!! I have been looking at trying this specific diaper for the new baby on the way. It combine a waterproof cover with the natural super absorbent insert. I also really like the deep solid colors. I don't have any in my stash. No Rumparooz yet for us but I heard they are amazing! Love the double gusset! I also love that it's like two diapers in one! Amazing! I don't think my daughter has any Rumparooz in her stash - yet!! Would love this for either my stash or my best friend's stash who is due in June!!! I don't currently have any Rumparooz or any cloth diapers for that matter. My little guy is due May 7th so I'm trying to figure out which diapers I want to start out with so I will have some before he's here. I love the pockets. I would really like to try these. Thanks for the giveaway. I have yet to try these diapers. I would love to win one! I don't have any and would love to try this out! No rumparooz yet! Re building my stash as number 2 is on the way! I love the one RR cover we have, & would love to try the RR OBV OS Pocket because my grandson is a heavy wetter & I think these would be very absorbent. They look really soft & the colors are vibrant too! I have two Rumparoos and love them. One is called Quinn but I'm not sure of the seconds name. I only have newborn Rumparooz covers which I no longer need - would love to try some other products! We don't have any Rumparooz yet but I would love to try them! No I don't have any Rumparooz yet, sadly, but really want to add some to my stash! And I love the color of this one! We have a few pockets in our one-size collection and used the newborn AIOs on our daughter when she was little. Their PUL is great quality and their prints/colors so cute! No, I don't have any Rumparooz in our stash! They sound like they would be wonderful! Thanks for the giveaway! Wow, this sounds like an amazing diaper. I don't have a Rumparoo in my stash and would love the chance to try this. oooo! I wanna try one! I've never tried rumparooz bit they look amazing! I have a Rumparoo in Dexter. Its has a nice thick feel to the shell and the inner fleece is very soft. It does seem very small on my 23# toddler though and I don't care for how the pocket is so tight and the inserts won't come out when washed. I don't have any one size Rumparooz, but I do have some newborn covers that fit my son really well! I really want to try a one size AIO though. Would love to try this diaper style. 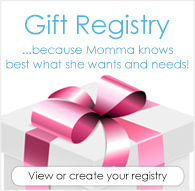 My daughter would love using Rumparoo's on my grandson! Thanks for the chance to try one! I do not have any Rumparooz products yet. It would be great to try some. I would love to try this cloth diaper! Those gussets/leak guards would be great and contain messes really well. I've heard so many amazing things about the Rumparooz brand. So far I only have 1 newborn cover and I'd love to add a couple more Rumparooz items to my stash. We have a Rumparooz pocket diaper as well as 2 Rumparooz covers! Love them both! I love my Rumparooz covers and would be thrilled to try this diaper! I don't currently have any Rumperooz, but I'd love to try some! I do not have any rumparroz! I would love to try! I had the one size pockets but I wish they would fit past 18 months. Not yet, but I've heard good things! My daughter uses cloth diapers for her little one and plans to use them more with her baby on the way!